I’ve learned a lot of things while working in church tech for the last 20 years or so. You might think those lessons would all be technical in nature; and you’d be half right. But I’m sure I’ve learned as much about myself and how to relate with others as I have learned about technology itself. Some years ago, one thing I learned (or perhaps more correctly, noticed) about myself is that I had a tendency to say, “No” to requests for various technical things. To some extent, it didn’t matter what the request was, my default answer tended to be, “No” and we would negotiate from there. The funny thing was, after I said, “No,” I would often find a way to accommodate the request. One thing I do know about myself is that I pride myself on coming up with elegant solutions to problems. I don’t really like “Git ‘er done” approaches; though I may fall back on them in a pinch. I much prefer to come up with a solution that works, and works well. Often those solutions take a minute or two (or an hour or two) to come up with. As I thought about it, I realized I was really just saying, “No” to buy time to come up with a solution. Sadly, it wasn’t received that way. 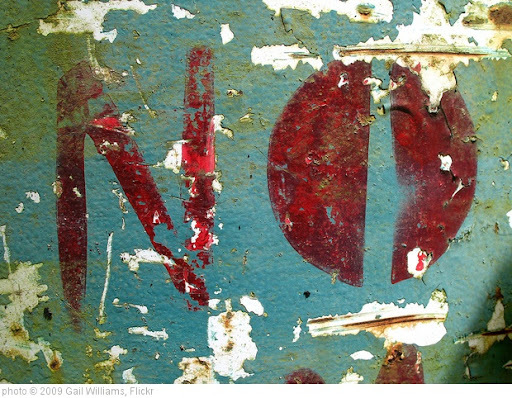 Most people took my, “No” as—and you’ll find this shocking—a no. Finally it occurred to me that I could win more friends and influence more people if instead of answering, “No” all the time, I changed my answer to what it really was, a request for more time to think of a solution. Amazingly, it worked. My strategery (thank you G.W. Bush for giving us that great word) now when someone asks for something is to pause for a second or two before answering. In that brief moment, I am parsing the request to see if it’s something I can answer quickly or if I need more time. After a pause, I answer. Some requests are easy; “Can I get more piano in my monitor, please?” Sure thing! Some requests take more thought; “Can I try in-ears instead of the monitor this week?” This was a real-life request I took a while back. A few years ago, my default would have been, you guessed it, “No.” And that no would have really been more of a, “If I had known about it before I set up the whole stage, yes, it would have been easy. But now, you waited until the last minute so it’s hard. So no.” But I’m a changed man—or at least a changing one. So intend I paused. The singer’s reaction was just what you’d hope for, “Ok, sure, no problem. Next time would be great.” Instead of shutting him down completely with a quick no, I processed the request, weighed the options and came up with a measured response. In addition to explaining why we couldn’t do that now, I gave him a promise of accommodating the request at a future date, building good will. You’ll be amazed at how much trust and respect you can build with your teams if you take some time to consider your answers, give people options and explain your responses. I know I have. How do you typically respond to tech requests? What is the reaction? And by Bose Professional Systems Division, committed to developing best-in-class products, tools, and services to create original audio experiences. The chief advantage products like RoomMatch® array module loudspeakers and our line of PowerMatch® amplifiers offer for worship are clear natural sound that makes voices and music seem more real.